LAS VEGAS -- Who is that masked man? 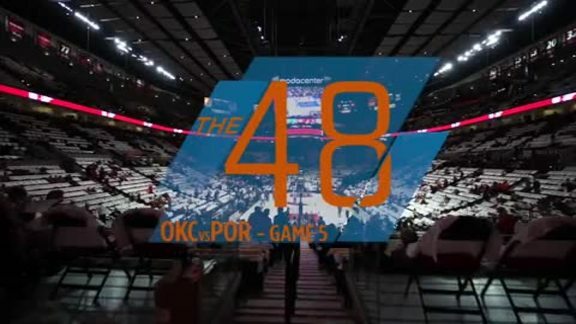 Many watching the Thunder’s Summer League squad play in Las Vegas over the weekend have asked themselves that question – about the left-handed, 6-foot-5, 250-pound wrecking ball that has been jumping passing lanes, bullying guards and attacking off the bounce. That muscular man is Deante Burton, who the Thunder signed on Saturday to a two-way contract, the same type that Daniel Hamilton and PJ Dozier singed last year that allowed them to play with the Oklahoma City Thunder and its G-League affiliate, the Oklahoma City Blue. Just a couple of days prior to the start of Summer League, Burton broke his nose at the Thunder’s minicamp practices back in Oklahoma City. The chance to sign an NBA contract more than makes up for the inconvenience of having to wear a protective mask this week. Burton’s road to the NBA has been a real challenge. The Milwaukee kid played at Harold S. Vincent high school during his freshman year, transferred to Brewster Academy in New Hampshire, then returned home to Vincent to finish out his high school career. College was no less hectic, considering he had four different coaches over his four-year career. At his hometown Marquette University he never averaged more than 16.1 minutes per game in his first two seasons, then transferred to Iowa State for his junior year and exploded during his senior season, averaging 15.1 points and 6.2 rebounds in 29.5 minutes per game. As a Cyclone he was named second-team All-Big 12, but never latched on to an NBA team after going undrafted in the 2017 NBA Draft. He signed with Wonju DB Promy in South Korea’s Korean Basketball League, and ended up winning the Foreign Player MVP of the KBL after starting in all 63 games and averaging 23.8 points, 8.8 rebounds and 3.8 assists per game. Living in South Korea was a challenging experience but a valuable one, but Burton is happy to be back stateside. His hunger, not just for the Korean barbeque which he loved, manifested itself in a work ethic and desire to test his skills against NBA competition. This weekend at Summer League, Burton has given a glimpse of how his game might translate into the pro ranks here in America. While in college and in Korea he often was used as a frontcourt player, the Thunder clearly envisions that Burton, could be a perimeter contributor. At his size and physicality profile, there’s a possibility that Burton could be a stout defender on the wing, and with his quickness and ability to put the ball on the deck the Thunder sees yet another player who can create for others. A selfless, pass-first player, Burton can be a straight-line driver that uses his first step to get into the lane and then either finish around the rim or make the next play. “I’m a slasher. I’m versatile. I can guard multiple positions,” said Burton. Then he had one more thing to add. So far in Summer League, Burton has racked up 7.5 points per game on 60 percent shooting to go with 5.5 rebounds, 3.0 assists, 1.5 blocks and 1.5 steals per game. Unbelievably, he’s only averaged 16.5 minutes per contest. 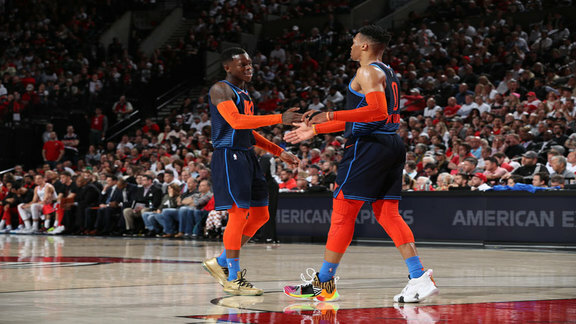 Just two Summer League games is too small a sample size to draw conclusions, but it is certainly encouraging how productive the bully ball guard has been so far in his short time with the Thunder.